Cases on Tour is a four day business trip to solve cases at four different companies in the Netherlands, Germany and/or Belgium. 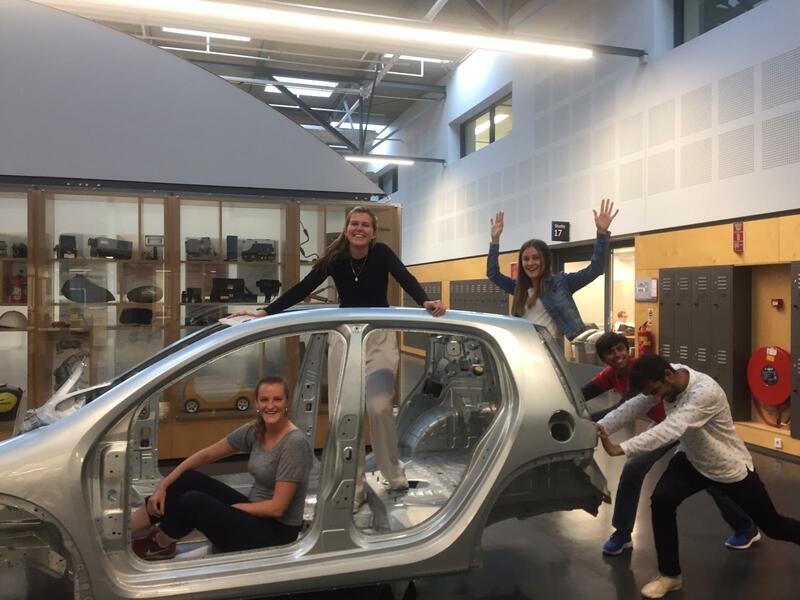 It is organized for master students of Industrial Design Engineering, at the TU Delft. Cases on Tour exists since 1996 and has visited a broad range of companies in these years, for example: Philips, Unilever, Akzo Nobel, Chambre of Commerce, RTL Nederland, Eneco, Procter and Gamble, Pro Rail, HEMA and Tony’s Chocolonely. The purpose of Cases on Tour is to let students get acquainted with companies and vice versa, this has often lead to cooperation between students and companies in the form of internships, graduation projects and further employments. Furthermore Cases on Tour is an excellent opportunity for companies to get innovative and inspiring ideas. The 27 students that visit the companies have a fresh view on the cases and the companies and because of the methods used to creatively solve the given problems, really innovative and inspiring ideas are generated.